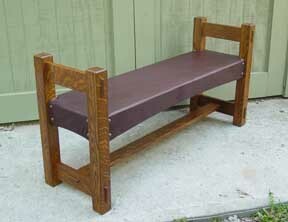 Built in the traditional Arts and Crafts/Mission style with through tenon joinery. This is upholstered in a rich burgundy leather. Other leather colors and dimensions are available for order only.